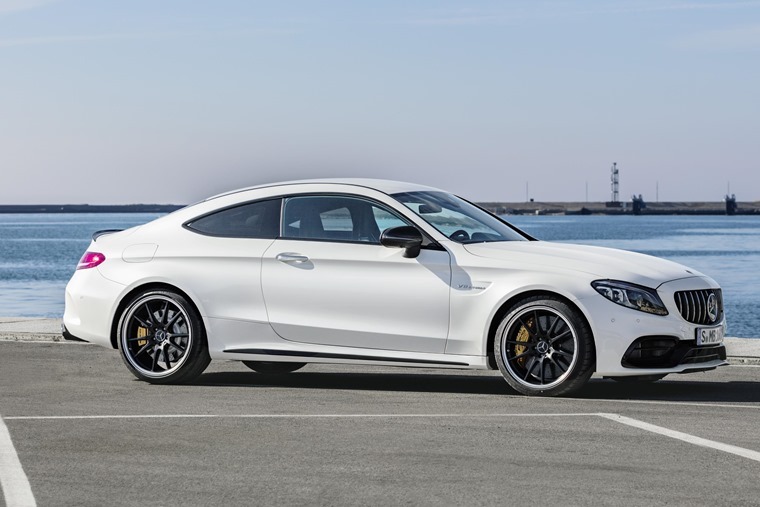 The refreshed Mercedes-AMG C63 range is now available, with list prices starting at £66,429 for the Saloon. The Estate costs from £67,629, the Coupe from £68,719 and the Cabriolet from £72,537. 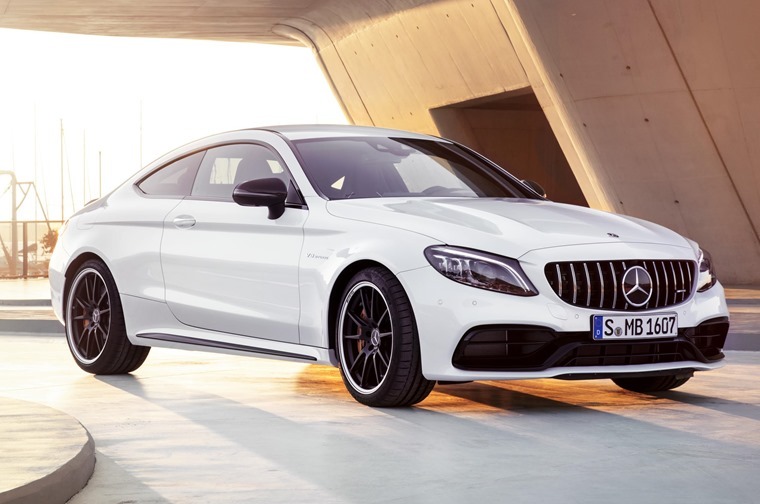 You can find lease deals on the C63 range by clicking here, or read on for all you need to know about the tweaked line-up. 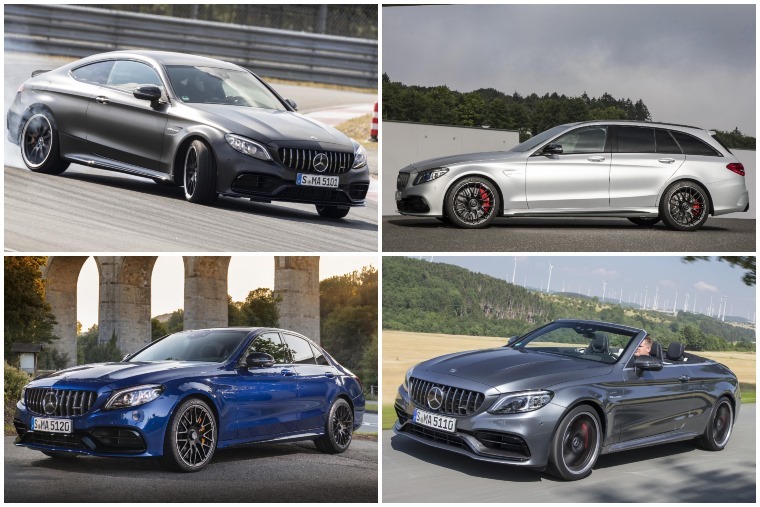 Following the reveal of tweaked Saloon, Estate, Coupe and Cabriolet versions of the standard C-Class and AMG C43, the new C63 heads up the range. On the outside styling changes are in line with the rest of the refreshed C-Class range, but C63-specific changes include a new grille, aero alloy wheels and an optional Aero package which includes a larger front bumper, an even beefier bodykit and spoiler. Inside, the same optional driver display is available which replaces analogue dials with a swish monitor display. New trim and upholstery options have been added, including carbon and wood packages. Power-wise, two options are offered – the standard car and an ‘S’ model. Producing 489bhp and 503bhp respectively, the S model now gets a top speed of 180mph in saloon and Coupe form, and 174mph for the Estate and Cabriolet. Non ‘S’ models have a limited top speed of 155mph. The suspension has also been updated courtesy of an all-new electronic limited-slip differential and redesigned dampers. It gets six drive modes: Slippery, Comfort, Sport, Sport Plus, Race and Individual. All C63s benefit from Mercedes’ latest nine-speed DCT gearbox which offers quicker manual changes than the outgoing model. Despite all these tweaks, the car’s 0-62mph time of 4 seconds is exactly the same as the outgoing model. 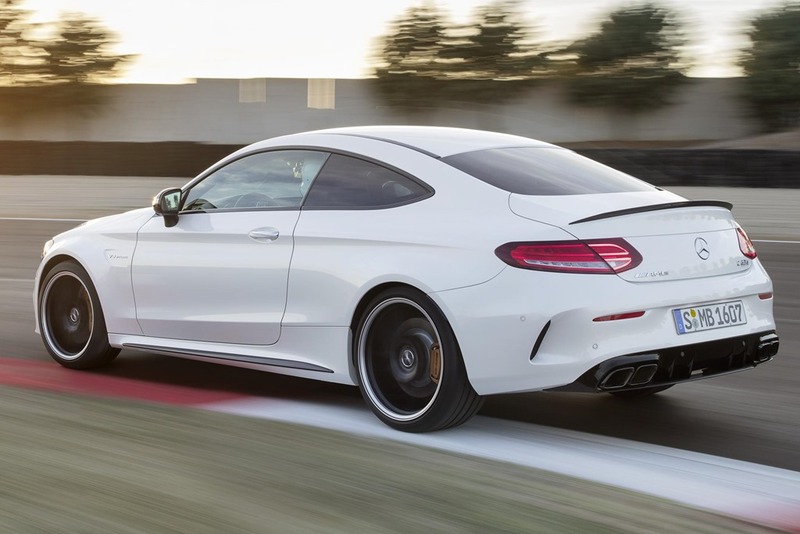 Deliveries of the new C63 will start in October. You can find lease deals by clicking here or, if you’re after something a little more cost-effective, find deals on the standard C-Class range here.